"Ugh. Babes for Babes is just cringe-worthy within itself." 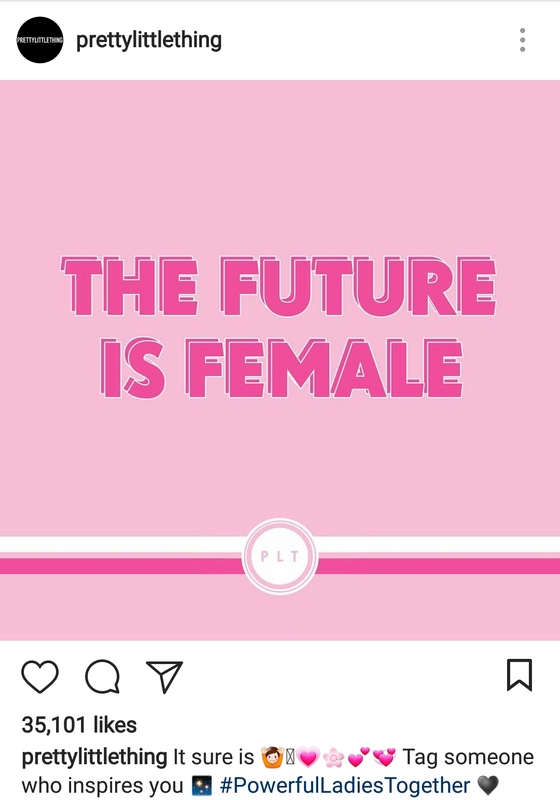 my friend exclaims whilst scrolling through her Instagram feed, having stumbled across fast-fashion brand, Pretty Little Thing's latest attempt to jump on the feminism bandwagon. I laugh in agreement as it becomes apparent that I'm not the only one feeling like 20% for International Women's Day is an offer a little unpalatable to swallow. Indeed, all of these brands suddenly wishing to show support, couldn't possibly be in a bid to sell more things could it? This year, brands using International Women's Day as an excuse to piggyback their logo across social media were unavoidable. Whilst originally intended to recognise and celebrate women for their achievements regardless of gender or divisions, I can't help but feel that the day's meaning got lost in the ploys of marketing teams. Whilst we all love an offer, what was being said about what the day really meant? Truth be told, I'm also a little uncomfortable with the idea that your support for international women's rights is validated when you like their latest Instagram post. Not only this, but the irony really hits home when you consider fast-fashion brands paying women making the clothes pennies a day on the other side of the world. Kind of feels a little disjointed from the 'Yay, Happy International Women's Day!' rhetoric we're becoming so accustomed to hearing, huh? Google, 'feminism for sale' (this article is great) and it is clear that I'm part of a growing millennial group questioning what brands and corporations are actually doing for gender equality. Already branded as McFeminism, brand's lack of altruism is scary and isn't going unnoticed. Maybe I'm totally off the mark here, but surely it's only a certain amount of time until people start calling corporations out? Of course, you can argue that it gives the movement a bigger platform to stand on, raising awareness for a greater cause. But where do you draw the line with brands promoting something good for the wrong reasons? Is it a good or bad thing that 12 year olds are walking around with GRL PWR written on their T-shirts? And who's to say whether it is or not anyway? Judging by our inundated feeds and high-street merchandising, I can't help but think that this trend is unavoidable. Feminism won't be the last political movement up for sale. So, does this mean that fast-fashion brands should look to a happier alternative? 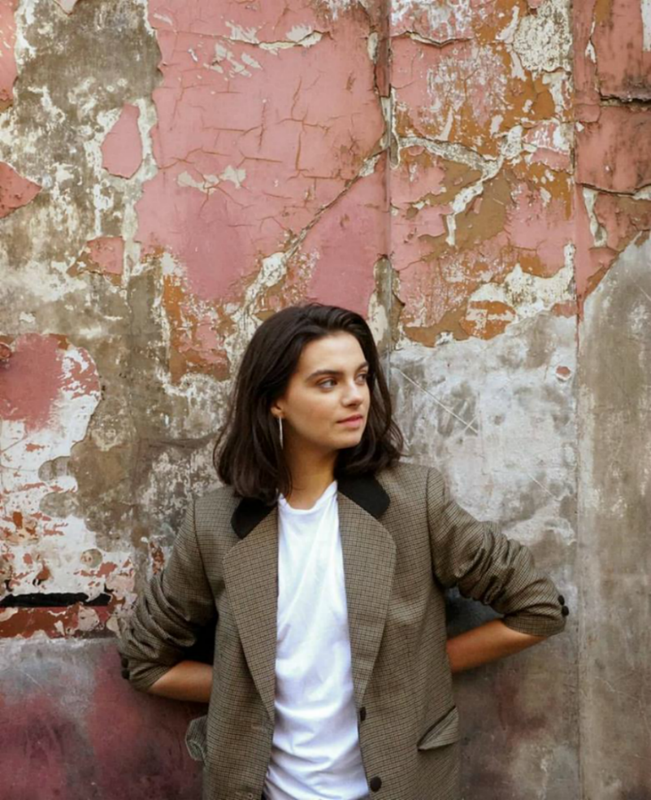 Perhaps fast-fashion retailers should look to established designers like Stella Mccartney for their environmental activism and Burberry for involvement with the LGBT community. Instead entwining it with their core values, making their standpoint more than just a one-day thing and something they stand for throughout the year. What are your thoughts on this? Do you feel brands are putting feminism up for sale?